Home / Readers Forum / Apple’s iPhone May Not Be a Phone After all? Apple’s iPhone May Not Be a Phone After all? Xintong Tiandi, a Chinese leather company, won the legal battle in seeking approval to label their products as “iPhone”. As a result, Apple lost their trademark to the name “iPhone” in China. The Silicon Valley company’s struggle to receive ownership of their trademark overseas has presented an interesting debate over a company’s individuality, moral ethics, and global corporate social responsibility. Over the past 14 years, Apple has struggled with different Chinese companies over their products’ trademark. The origins of their legal battle can be traced back to 2002, when Apple applied for the “iPhone” trademark for computer hardware and software in China. This was approved 11 years later in 2013. It was not until January 9, 2007, when Apple launched their very first smartphone known as the iPhone 1, iPhone 1G, or iPhone 2G. 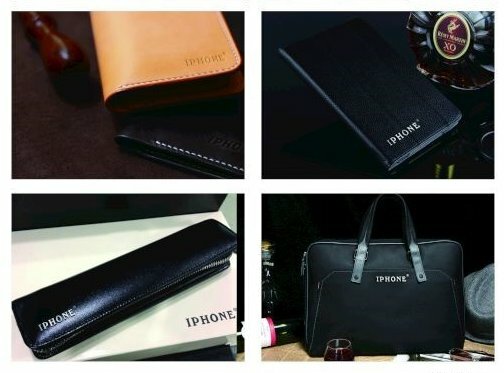 As soon as Apple’s iPhone went on sale, Xintong Tiandi, a Chinese leather company, created their trademark as “iPhone” for their leather products. After 2007 when the Original iPhone gained recognition, all Apple products began adopting names similar to the iPhone. Since then, all Apple products were and are still known to be more expensive, yet of great quality. Most electronic products beginning with “i” such as with the iPad, iMac, iTouch, or iHome are known to be strictly Apple products. In 2012, Apple disputed Xintong Tiandi’s intellectual property rights. After several years of legal disputes over the iPhone trademark, Xintong Tiandi won their legal rights to sell their leather goods with stamps marking their pen cases, passport holders, handbags, and wallets with “iPhone”. For years Xintong Tiandi has struggled to seek approval of the iPhone trademark on their goods. Their legal victory has helped their company gain recognition as a luxurious brand. It also increased their company’s esteem as more consumers bought their goods to symbolize their status. Xintong Tiandi explained how Apple’s name in their country represents a middle-or even upper-class status in China. Thus, many Chinese are willing to pay for passport covers or other leather goods with Apple product’s name to show their wealth and social status. The United States has preserved strong ties with China for several business and manufacturing purposes. China sustains hundreds of factories with over a 100 million migrant workers, making China one of the largest workshop sites around the world. Apple Inc., and other Chinese companies have faced several trademark and piracy cases over the last decade. In 2012, Apple was forced to pay $60 million for the rights to use the iPad trademark in China. Although Apple bought the rights to same name in several other countries, a Chinese company stated that Apple had not secured their rights to use their trademark in China. I believe that Apple’s defeat over their trademark in China shows how Xintong Tiandi practiced poor global corporate social responsibility and individuality as a company. Apple’s defeat in protecting their iPhone trademark oversees shows a weakness in the Chinese company’s global corporate social responsibility. Companies practicing strong global corporate social responsibility balance multiple responsibilities such as economic, social, and legal responsibilities. Although Xintong Tiandi now is legally allowed to use Apple’s trademark on their products, they are still not fulfilling their social responsibility in using their own name on their goods. This also presents a violation of business ethics. Xintong Tiandi are are acting selfishly for their own personal gain despite how it may affect Apple and their company’s name. Another important factor to consider for this issue is the fourth method of ethical reasoning which concerns justice. It is not just or fair for Xintong Tiandi to use Apple’s trademark for their products which have little to no correlation with Apple products.